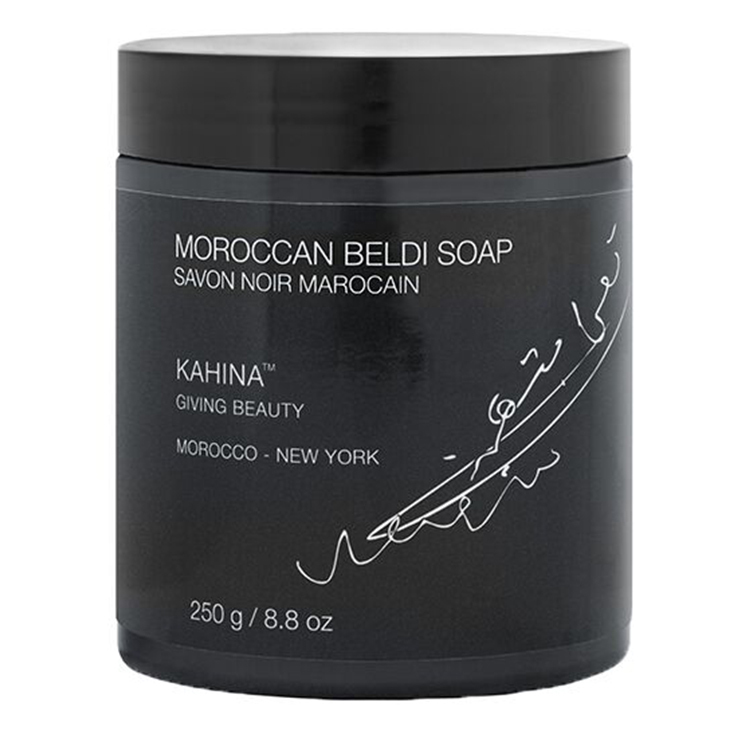 Kahina Giving Beauty delivers the beauty secrets of the Moroccan woman to the modern world with Beldi Soap, a traditional body cleanser that gives a purifying and invigorating feeling that is effective and timeless. 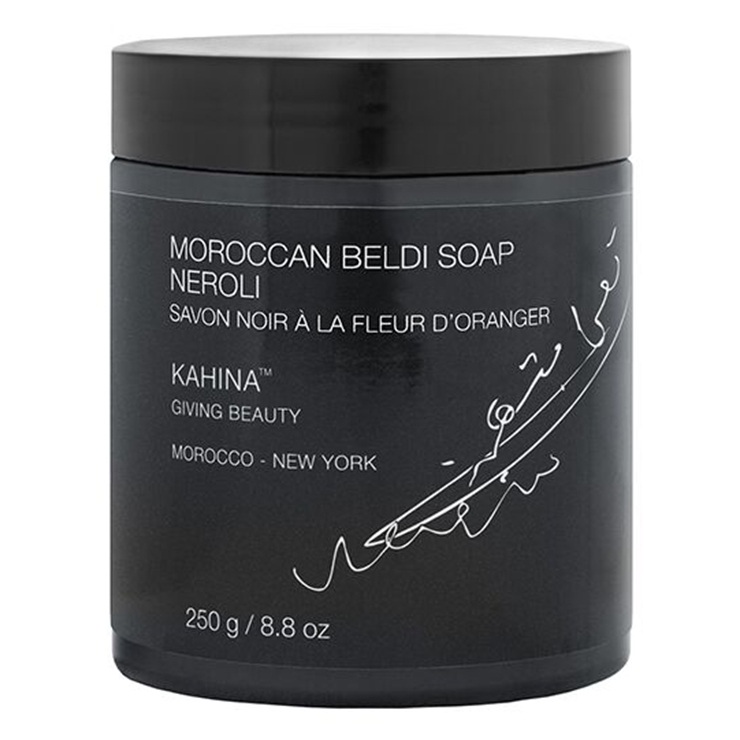 This versatile cleanser can be used in the shower or bath. Crafted with just olives and essential oils, it can be used simply to make skin feel healthy and invigorated, or to give skin a soft, smooth appearance. Wash daily with Beldi soap by applying a small scoop to skin using a wash cloth or shower mitt and massage in, then rinse. For super smooth skin, apply to clean damp skin in the shower, or best, in a steam room, and allow Beldi soap to sit on the skin, massage in from neck to toe, then rinse. 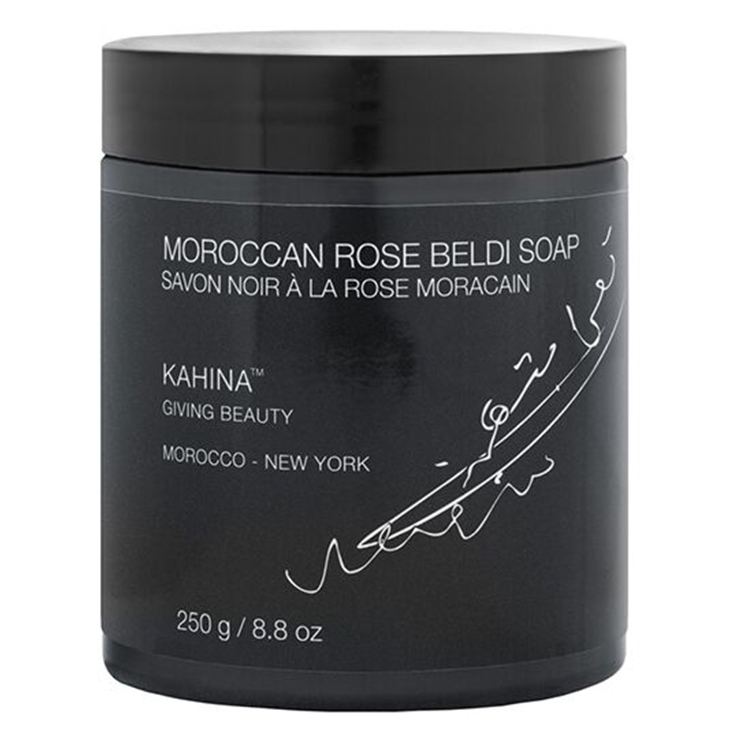 Follow by applying with a shower mitt, Kahina Kessa Glove, wash cloth or scrub.